Each year everyone is concerned about Halloween and Christmas. We’re bombarded by advertisements, decorations, and conversation, but what about the holiday everyone seems to forget about—arguably the most important one? 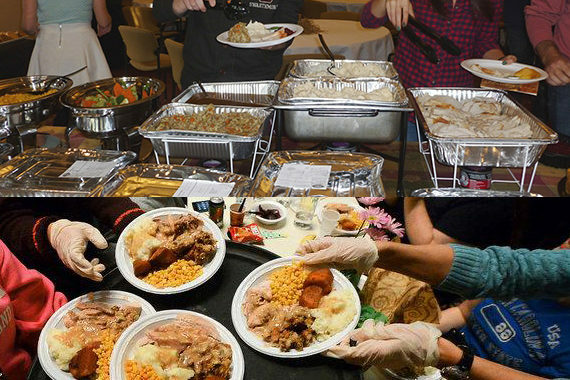 Thanksgiving has fallen by the wayside for most people. This may be largely due to the controversy surrounding the holiday, but this isn’t about that. Sometimes it’s the thought that counts, and that isn’t just an empty quote. Good gestures are generally appreciated, even if people seem too busy to acknowledge them. Your residents are your livelihood, and your relationship with them is important. Why not show it in a way that pleasantly surprises them? If you’re considering hosting a Thanksgiving celebration for your residents, here are a few tips to keep in mind. Before you start putting together your plan for exactly what this event will entail, it’s crucial that you make sure your guests knows about it. After all, no one likes to throw a party for one. While you’ll definitely want to send a general email to all your residents, this will go beyond that. For maximum effectiveness, you’ll need to provide notice in multiple forms. Put flyers and banners around the property. Send hard copy invitations to each rental space. Most importantly, don’t discount the effect of an in-person conversation. Visit each rental unit, and tell them about the event. This personal touch will almost certainly result in higher attendance. What is Thanksgiving without food, right? This will be a main point of concern for the event and one you should start planning for as soon as possible. There are plenty of options from formal catering to fast food. Consider what type of properties you own and what kind of impression you want to give. In general, it may be a good idea to try and strike a blend between “fancy” foods and fast foods to satisfy as many residents as possible. Most caterers will offer free estimates for your event, so be sure to shop around! Of course, food isn’t the only point of a party, and you do want this event to be memorable. You’ll need to decide what kind of entertainment is on offer. A great option is to host both an outdoor and indoor event. Imagine having an outdoor feast with a projector showing your selection of classic holiday movies and an indoor neofolk concert. You’ll naturally want to make a firm decision on whether or not alcohol is offered at your event and assign some supervisors if it is. Either way, the main thing is to ensure your event will be a fun time for all those involved.